During the 1st and 2nd centuries, HINDU MYSTICISM from the far east invaded the Middle East. Also known as Gnosticism, the new mystical approach to fulfillment became focused on learning “secret codes”. Receiving the “inner consciousness” that “all things spiritual are perfect” and “all things material are defiled” became the foundational teaching. To achieve perfection, one had to yoke with “forces” to be guided toward fulfillment. The Pharisees believed in spirits and the unseen realm, and adapted the new understandings to their own traditions and interpretation of Torah. 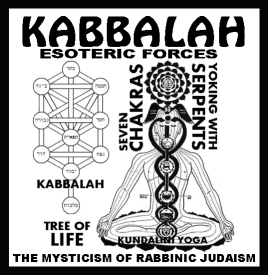 The rabbi-pupil model was a perfect setting to “receive” (kabbalah) the eastern mysticism. New mystical interpretations of the Torah and “traditions of the fathers” became the filter through which one might learn hidden secrets. Today this discipline is call KABBALAH, based on writings from the 13th century called The Zohar. Does Yahuah withhold secret knowledge, or did Yahusha, Paul, and Yahukanon confront this long ago?